Purnati offers itself to artists, cultural events, exhibitions and organizations. We seek to explore new thoughts and concepts while collaborating to enhance cultural, intellectual and artistic exchanges. 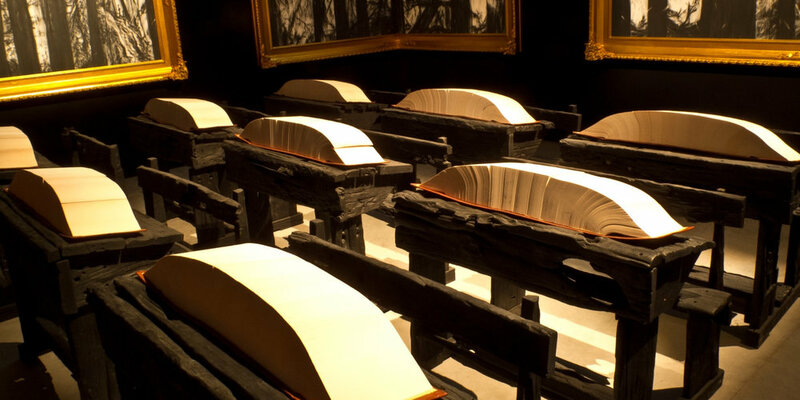 Purnati is the birthplace of the I La Galigo production by the renowned theatre director Robert Wilson. Purnati fostered an original music arrangement between Grammy Award ®, Polar Music Prize and the Avery Fisher Prize winners KRONOS Quartet and Suppangah Rahayu, the renowned Indonesia composer. Purnati studies, interprets and documents the cultural heritage of Indonesia through collaborative projects. authored by the Athenian playwright Euripides. Tadashi Suzuki is the founder and director of the Suzuki Company of Toga (SCOT). The Private Museum is proud to present Han Sai Por: Secret Landscapes – A Bali Purnati Artist Residency by one of Singapore’s leading sculptors and cultural medallion recipient, Han Sai Por. The exhibition marks the museum’s second collaboration with Yayasan Bali Purnati, as well as the artist’s inaugural solo acrylic-medium focused exhibition. Nature has been always one of Han’s core influences in her practice. With vigour and tenacity, she immersed herself in the rich textures of natural landscapes and traversed in the untamed terrains of the mystical Indonesian island of Bali. Han’s new body of works captures the essence of Balinese topography—allowing the viewer to delve into the depth of her art practice. From the early beginning of his artistic engagement, Heri Dono has consistently aspired to set right what he thought was wrong. For Heri, art is not just about exploring the beauty or the aesthetic but to give awareness to the audience. “Artists have a moral responsibility to add to the global conversation, and inspire people with awareness of what is going on in their environment and in the world at large. One of the world's most cataclysmic volcanic outbursts was the 1883 eruption of Mount Krakatau located on a small island in the Sunda Strait which separates the islands of Sumatra and Java. The explosion was so enormous that it could be felt thousands of miles away. The eruption and the massive destruction it caused, has stirred the imaginations of artists and writers around the world. 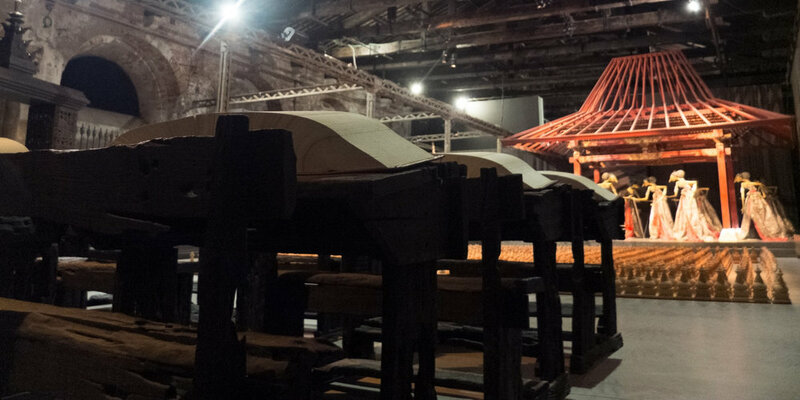 The theme of the Indonesia Pavilion at the 55th International Art Exhibition of the Venice Biennale is Sakti, a concept taken from Indonesia’s rich cultural heritage and interpreted in the context of contemporary art practice. In Sanskrit, sákti refers to primordial cosmic energy and the personification of divine, feminine creative energy; it also indicates change and liberation. Of Indian origin, the Hindu concept of sakti was quickly integrated by Indonesians into their local cosmology, becoming associated with such mythical female figures as the rice goddess Dewi Sri and the South Sea Queen, and with certain objects like the keris (ritual dagger). In June of 2010 the Purnati Dance Theater Company went to the Netherlands with the “Dance for Peace" project , specially choreographed music and dance pieces from Bali and South Sulawesi. Traditional dances of the two islands were presented in a contemporary way. "Dance for Peace" expresses the symbolism of the cycle of birth, destruction and rebirth. This provides a unique, exhilarating and poetic spectacle using dance, music, song, masks and fire. The Purnati Dance Theater Company was established in 2000 by international dancers and actors from the different islands of the Indonesian Archipelago. The group is based near Ubud , the cultural and spiritual heart of Bali. Over the past decade Purnati Dance Theater Company has developed new projects and techniques, which have often resulted in international collaborations and productions with artists from Europe, Asia and the United States. The world premiere of their musical collaboration with Rahayu Supanggah, the well-known music maestro from Solo, Java. This was a one-time-only concert that happened just before sunset in our Bale Kambang. Theatre, dance, music and poetry unite when the Bugis epic, I LA GALIGO, comes to the stage in a visionary work by the internationally acclaimed master of the theatre, Robert Wilson. I LA GALIGO features a cast of Indonesia’s finest performers who form a company of 50 actors, dancers and musicians. 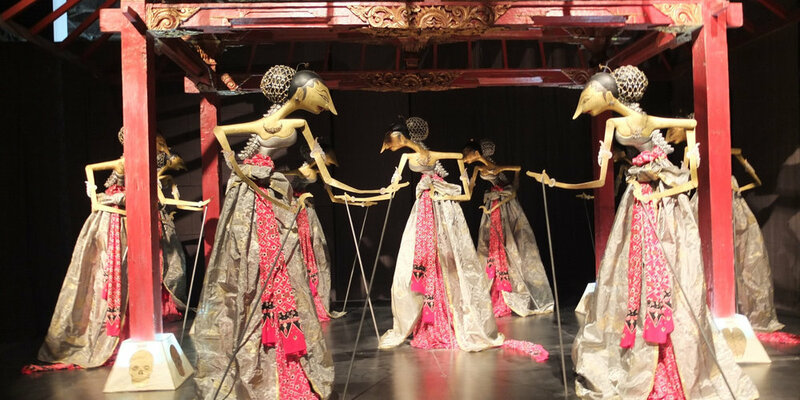 Coming primarily from South Sulawesi, the cast also includes artists from other islands in the vast Indonesian archipelago: Bali, Irian Jaya, Java, and Sumatra. The music has been researched and composed by Indonesian master Rahayu Supanggah. The creative team is comprised of Robert Wilson and a group of International artists collaborating with performing artists, designers and craftsmen from all over Indonesia. The Ultimate Balinese Workshop for Actors, Dancers, Directors and Musicians.